Cameron Moxley is a partner in Brown Rudnick's Commercial Litigation group. 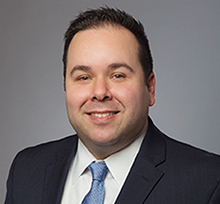 Cameron focuses his practice in complex financial and commercial litigation matters in federal, state, and bankruptcy courts in the United States. His experience includes trials and appeals in federal and state court, multi-district litigation, and the representation of creditor committees and foreign liquidators. From 2009-2011, Cameron clerked for the Honorable Jonathan Lippman, the Chief Judge of the State of New York. Representation of the Official Committee of Equity Security Holders in the Chapter 11 case of Adeptus Health Inc.